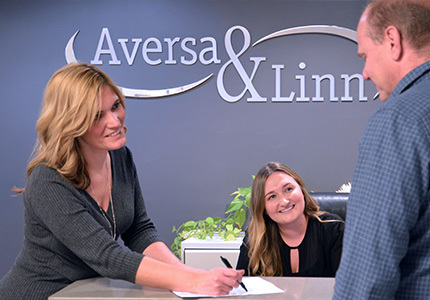 If you have been injured in a car accident, on the job, or because of a medical error, the attorneys at Aversa & Linn will fight for you like you're a member of our family. We are respected by insurance companies, opposing counsel, and the courts because we're knowledgeable, well prepared, tough when we need to be, and reasonable when the situation requires it. If we need to take a case to trial, we have the litigation skills and experience to win your case. Your case will be managed by a team of attorneys, paralegals and case managers who will be attentive, responsive and laser focused on achieving the best result for you. 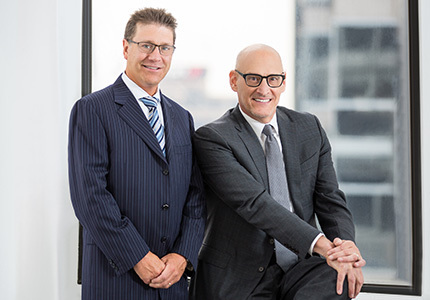 The attorneys at Aversa & Linn are strong negotiators and advocates when dealing with insurance companies and opposing counsel, but are always available, approachable, and friendly when dealing with clients. We develop long term relationships with our clients–that's why the infinity symbol surrounds our name. 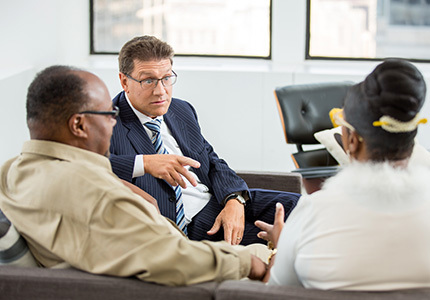 Your connection to the firm begins at the initial meeting and continues well after your case is resolved. We take the time to get to know you on a personal level, which allows us to cater to your specific needs. We guide our clients through difficult and challenging times. That's why they refer us to their friends, coworkers and family when they need help.